Yeah I probably over thought it...this pretty much sums up what I was trying to say about what the Freighter folk were up to. Good ol' Doc Jensen! "Their mission all along was to neutralize the chemical stockpile in order to prevent Ben from pulling another Purge." You said you had 4 theories on the 'Other Woman', but you only listed 3, unless I missed one. What was the last one??? OK, good episode, not much action but the dialog more than made up for it. Mike, like the Annie IS Sarah theory!! Although why would she change her name off island? Was Ben just as jealous with her and she changed it to stay away from him? My first thought on “you look just like her” was did Ben have a wife that died in child birth that looked just like Juliet? That would explain why he’s hung up on the childbirth issues and transferred his felling to Juliet. Could his wife that died be Annie? So how did Ben get the tape? Ben did say “I taped over the game” Did Ben tape the Widmore beating himself? We know he’s been off the island. oh crap...i forgot one! lol thanks for calling that out. #3 was supposed to be if Annie is Ben's Woman...then Juliet would be his OTHER WOMAN! I'll add that in! Thanks! Yeah not sure why she would change her name...but if she knew SUPER AGENT BEN with all of his passports and aliases then I guess she could be a name changer too! She could be on assignment by Ben. Who knows??? It's all a big stretch but it could be true! I like the theory that maybe Annie died in childbirth as did Ben's Mother so this could lead to his further obsessivness with finding a way to fix it! Also, we can assume that tape was made recently since he just showed Jack the Red Sox tape a few weeks ago in Lost time. Well, as usual, someone is lying somewhere! I'm not buying the Dan and Charlotte story at face value. You'd think they'd know that Ben is not trusted by our heroes so why not just tell Jack et al about their plan to save them from Ben's purge redux plan? Or is their story true and it was just written that way for good TV drama? And irony, too, since someone said "I want to know why they aren't here to rescue us..." or something like that, which of course is false if you believe they DID rescue them from Ben's evil plan. 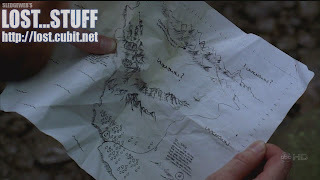 And if the boat is owned by Widmore, and Dan and Charlotte work for Widmore, who, according to Ben, does not know where the island is, then how does Dan and Charlotte have a map of the island? And how do they know about the gas? Yet Ben told Juliet to shoot D & C. What if she did? We were never told that the Purge was initiated, were we? BOTTOM LINE: We were previously led to believe that getting Ben is a primary objective of the freighter folk. Ben is locked up. If they want, they can have him. Shoot him, take him, whatever they want. I don't see how neutralizng the gas ties in with their "objective". I think it was a ruse to build trust with the Losties, as Mike mentioned in the main blog. It was never said that getting Ben was their primary objective, Ben just said they were her for him. I think their objective is just removing all the threats Ben has on the island including Ben himself. And unlike the people on the island they are getting it done. Looking back Walk told Locke not to open the hatch. He did which eventually caused the island to be seen by the outside. Walt told Locke not to let them call the boat with the sat. phone. They made the call. Ben told Juliet not to let them release the gas. They did, although they did it with out killing everyone. Everyone on the island keeps failing in there missions and the island is going to suffer the consequences. These events all help pave the way for Widmore (the bad guy?) to eventually get safely on the island. I think Ben never wanted to gas the 815ers. It was his last resort and he would be willing to use it if a threat ever took over the island. Have you guys noticed that Hurley wins at everything? Beats Jack in HORSE, defeats Sawyer in Ping Pong and Horseshoes, and wins the lottery? Don't play cards against guys with city's as their last name or against Hurley!! Sted, it was more than just Ben saying "they want me" Miles also shows a picture of Ben to jack after saying "You want to know why we're here...I'll tell you why we're here!!!!" and further goes to explaining they want Ben Linus. But good point on diffusing any dangerous situations for Widmore to finally get to the island. Pokey, Yeah we don't know how old Richard is....but the captain of the Black rock being the captain of the freighter? yikes..I guess it COULD be. It seems like a bit of a stretch but you're right...they have been bringing up the Black Rock an awful lot lately. And it seems to be heading somewhere. I'm sure we'll find out in the coming episodes who that captain is. Or at least we'll meet him! I thought I had something else to say too...but I forget! This should do for now! But based on the numbers bringing him BAD luck after the lottery....maybe going to the island has changed his luck??? Afterall...how about him getting that VAN started right before hitting the rocks too? Interesting stuff! I was also way disappointed in Kate for being knocked unconscious so easily. Obviously she didn't trust Dan and Charlotte, so why's she turn her back on one of them? And Charlotte's wayyy too quick to shoot, kill or knock people out, if she's really there to save everyone. "Oops. Sorry I almost killed you with a lead pipe. But look, we saved your asses, so let's all be friends now, okay?" I know that it may not be a major plot point, but isn't it weird that Naomi's body was never shown or discussed in "The Constant"? You would think that the crew, doctor, etc. would have done something with her body like examine it for how she died, etc. I think that the Losties are going to get into the middle of an all out war for the island between Widmore's people, Ben's people (who now includes Locke), and maybe the Dharma people which will result in some of them (O6) being split off from the rest or given a chance to get off the island, but knowing that some of their friends were still left behind? A different take on who Juliet looks like: could she look just like Ben's mother? I haven't seen that episode in a while, but I still think Ben's mother dying during his childbirth either has something to do with women dying during childbirth on the island or at least his obsession with it. Also, did anyone else find it weird that Juliet says the body starts to attack the embryo during the second trimester? Wouldn't that result in the baby dying instead of the mother during childbirth? Do we know for sure if the baby also dies? Someone please answer this question. Even though it won't be much of a surprise, the captain almost has to be Michael. You can tell from the preview that it is someone Desmond and Sayid recognize. Plus, as far as the story line goes, having Michael on the boat allows for a lot of questions to eventually be answered like what happened to him and Walt, how did he end up on the boat, is he Ben's spy, did he and Sun sleep together, etc.? Assuming that it is Michael, how on earth did he become captain of the boat. Remember that time on the island (as far as we know) moves slower than time off the island, so he has been off the island about 30 days in on-island time. I still think the captain is Michael, but some other interesting candidates would be a grown up Walt or the Hanso guy from the movie. Finally, as for the gas, I think that Dan and Charlotte were trying to eliminate one of Ben's weapons in defending the island. I think Widmore is after the island's effects of eternal youth (Richard) or its healing powers (Locke, etc. ), but will need someone (Ben?) to help him figure out the secrets of the island. Otherwise, why wouldn't have Dan and Charlotte gased everyone on the island including Ben? Crazy..didn't even pick up on the wine thing. Thanks for the comment! Welcome to the Blog Andrew! I agree...some very contrived situations drawn up for this episode. You'd think they will have some way to explain why they did things the way they did them. But I'm guessing mostly it was all for dramatic effect lol. The only other explanation would seem to be that they really did want to "get caught in the act" at The Tempest to earn trust. But I guess we'll find out!!! They probably just didn't cast the actress playing Naomi for such a small role when arriving to the freighter. Kinda like Rose and Bernard have all of a sudden disappeared too. They just can't keep them in Hawaii until they need them. The actors are only contracted for so many episodes. No idea about the baby/mother thing. It IS interesting though that the immune system turns on the fetus. But I would guess that both the baby AND mother die since it's so early in the pregnancy. As for the Michael thing...not sure if he's the Captain...but you mentioned Desmond recognizing. Keep in mind...Desmond actually never met Michael! "Juliet is an OTHER and a WOMAN!" Funny! And I completely believe that Sun and Michael got it on and are going to be the last two of the Oceanic Six. Just sayin'. Mike, I understand your point of paying an actress, but you would think that a little dialogue about taking the body to a certain part of the ship or something would've done. They just made such a big deal about who the three passengers were going to be with Sayid insisting that Nadia be the third since no one else wanted to go. Why not bury her in the jungle instead of taking her to the boat to just have her "disapper". Anyways, who am I to question the writers/producers, I am sure they have a reason for what happened, but half the fun of this blog is guessing/discussing possible theories. good point addict lol I guess they shouldve said something! Maybe they will! Wow!....as Mike would say. I loved that episode I thought it was better than the week before. I totally agree with you Mike; I think that Annie is the woman that Harper was referencing. This season has been awesome and I dread the fact that we are going to be lostless in a few weeks. Charles Widmore could be captain of the freighter since it is his operation and he wants the island so much, that he probably would like to see it himself. On the other hand, it would be unlikely for a man of his power to actually be involved on the forefront of the operation. It would be like a General fighting on the front line. Just wondering why on earth that Michael would be the captain of the boat? Why would he even agree to it? How could he possibly be qualified to captain a boat? and why would Widmore hire him knowing he was an Oceanic survivor? Do we know for sure Ben's man on the boat is the captain of the boat? I just think that the only real surprise Locke would have to "sit down" for is if it is someone that they already think is dead - but who I have no idea. Finally, what does everyone think of the video and who the blindfolded man is? It must have some significance if they showed it in the episode. In addition to the coffin watch, maybe we should start a "man in the video watch." Mike - love this blog! I never miss it and love your take on the show. I thought of Ben's mom with the 'You lool just like her' comment - but can't remember what she looked like. Have always thought part of Ben's obsession with women dying in childbirth had roots to his mom dying giving birth to him. Yeah...that kinda makes sense with Juliet looking like Ben's Mom (and definitely a closer match than Juliet looking like Sarah which I never understood how anyone would make that mistake!) So it could be less of Ben being infatuated with Juliet and wanting a relationship and more of Ben seeing his mother in her. Crazy either way! Thanks anonymous for the compliments! Glad you're enjoying the blog. I enjoy writing it! Anyways...I totally agree that Michael is probably not the Captain nor understand why he would be. I still do feel that he could be Ben's MAN on the boat. But agree that Locke needing to sit down for it doesn't really make sense. I was thinking (for a very brief second) that the fact that Locke would need to sit down was because LOCKE HIMSELF could be the man on the boat. But with the whole "ONE TIMELINE" approach Lost is sticking to and so far all we have seen is "Consciousness" Time Travel and not "Entire Physical Self" time travel...probably not the case. So then I would come to the same conclusion as you that it would have to be someone we thought was (or IS) dead. But if that's the case...the LOST crew would have to tread on very thin ice on the believability scale. Afterall, we already have Miles talking to Ghosts! Then again we've seen Eko talking to his Dead Brother Yemi (who set fire to his tent and proved) and Kate pet a horse from her past. But we have been able to attribute their existence due to possible Smoke Monster Manifestations. Charlie talking to Hurley OFF ISLAND? yikes...no clue. Dead Guy on Boat??? Okay...maybe getting a little crazy. And if it's Mikhail coming back from the dead AGAIN??? I dunno...that would just be nuts. I agree that we probably have not seen the last of the Blindfolded Man too. They rarely introduce a character like that and not want us to be curious about it! Whether it's someone we know or not...I guess we'll just have to wait and see! Interesting Mike that you point out that Desmond never met Michael - so how could he be surprised ?? Someone here - I think - has already stated that Ben's contact and the captain are probably not the same person. And - are we assuming that the person who have been helping Sayid and Des is Ben's contact ?? Could be we will be meeting several surprise persons in the next couple of weeks. Can't help but feel that the producers would not ruin such a big surprise so many months in advance - so am feeling that while Michael has a big role, there is still a major surprise for us. Liking the thought that Mike is the father of Sun's baby. They were very pointed in that little conversation when Sun said My Baby and Jin said - don't you mean ours ! Agree - can't tell what some will consider spoilers - I see that the next 2 eps are called Ji Yeon, and Meet Kevin Johnson. Is Ji the name of the guy Sun had the affair with in Korea? In a promo for next week Sayid and Des get a note thru the door stating "Do not trust Captain" with Sayid reminding Des that Ben claimed to have a man on the boat. Below is what Wikipedia has for next weeks Lost Ep. It shows a picture of the Captain with Sayid and Des. Also states that the cast themselves feel this ep is the seasons most shocking. That is all I am saying for those who don't like to know things in advance - but if you want to know who the captain is - go look. mj, your 9:32 am comment this morning almost makes me think that you actually read my 3:11 pm post last Friday (3/7) about Ben's obsession with his mother dying during childbirth and that Juliet probably looks just like her. Addict - sadly I did not. I was off-line since thursday night. Guessing that we are thinking alike, huh ? Yeah addict...sorry I did read that the other day and meant to get back to you on it lol Should've given you both props for the theory! In regards to Ben's mother dying during childbirth...I agree it is definitely linked to his obsession with "FIXING" the island issue...but I don't think it is a direct REASON for the issue on the island. As for the whole Jin/Michael Baby Daddy thing. I really can't buy into the Michael being the daddy.....yeah there was all of that flirtation and forshadowing that went nowhere in season 1 and then the added Missing Pieces mobisode that showed them "ALMOST" kissing. And maybe that is additional forshadowing...but here's the thing. What about Season 3's episode "DOC" where we went through an entire episode wondering if the baby was JAE's (i.e. Dubbed Baldy #2 in the Lost Addicts Blog!) or Jin's??? What would have been the whole point of Juliet telling us that Men are X # of times more fertile on the island than OFF and that if the DOC was PRE Island it would be Jae's and POST Island it would be Jin's if that wasn't going to be the case?? I would just think making MICHAEL the father would be adding a twist just for the sake of adding a twist and I personally wouldn't be too happy with the direction the show was taking. Thanks Mike - had no recollection that the producers confirmed that DOC answered the parentage question definitely. unless Ben had already seen Goodwin die. I’ve been thinking about how Ben could still be in contact with the others and here’s what I’ve come up with. It involves time travel, Dan’s payload and future Ben. Dan’s payload was 31 minutes off from the freighter to the island. So want if depending on which direction, slope, altitude and distance from the island a payload is shot you can control when the payload arrives. We know Ben if off the island in the future so what if he knows how to send a message using those variables and can contact the others from the future. It could explain why he seems to always know what’s going on and is 15 steps ahead of everyone else. The whispers might also be an after effect of when time is bent on the island, echoes of what might have been. I love thinking of time theories lol. I do like this line of thinking. I just wonder how much the producers will delve into this TIME stuff and not confuse the mass audience. It's a fine line! lol But they have introduced TIME as a major theme this season (while hinting at it in the past seasons). So, it's definitely all plausible! So are we suggesting that once you've established contact with your CONSTANT that maybe you'll be able to TIME TRAVEL at WILL and not experience RANDOM effects such as Dan suggested? Interesting with the whispers too. Of course there have been 2 occurences with Whispers where characters have appeared/disappeared now. (maybe more...i can only think of Harper and Cindy right now). Also..what do we think about Harper appearing in the jungle to Juliet and Jack. Was she really there? Or was she a WALT-LIKE appearance that multiple people could see? Or a smoke monster manifestation? Then...are the WHISPERS and the Smoke Monster linked somehow or 2 different entities on the island? (we didn't hear the smoke monster "cranking" sound that usually accompanies its appearance when Harper showed up) The thing about Harper was...the rain was definitely hitting her too...so she seemed very real. But I dunno..something seemed very strange with her in that scene especially with the appearing and disappearing. Not sure where I was going with that rambling. But I rarely do! I just like bringing up stuff! Yea it is a fine line, not everyone who watches the show goes online to lookup all the minuet hints and book references they give out, but they should lol. That would be cool if Desmond could time travel at will and possibly become a major thorn in Bens side, maybe even side with Widmore to finally earn his respect. But I wasn’t suggesting that Ben has found his constant or can throw his mind through time; just send messages to himself and the other using the time difference going to and from the island. About the others, I don’t like the way they have been handled the last few seasons. In season 1 and 2 they were strong, sneaky, and moved silently through the jungle. When they introduced us to otherville most of them were clumsy, weak and easily killed. It could be explained that the others are different, pre-purge others are strong and sneaky while others brought to the island by Ben are the weak clumsy ones. I don’t know. I think Harper was there, either whatever emi was or just very quick to find a hiding place. 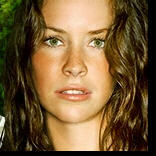 Cindy was taken by the others when climbing the hill with Sawyer in the stretcher before the whispers happened. Yeah...I guess I kinda ad-libbed from what you wrote. lol The sending messages from the future is interesting too! Also would link to that 1930's radio broadcast Sayid and Hurley got that one time. Maybe they have a particular station they are tuned into somewhere that gets messages from Ben. I agree with you though about the OTHERS. Besides Ben and Juliet being very interesting characters they really took away from that season 1 mystique that surrounded the likes of SUPER-OTHER ETHAN who just wouldn't go down until Charlie shot him. Then again...there is MIKHAIL who seemed to never die either. Maybe there is a linking there? Ethan may have been a native like RICHARD as well And I think Mikhail was too (based on what he told Locke, Sayid and Kate after he was taken out of the FLAME) So it's probably something we SHOULD be still wondering about. As for the sneakiness, barefootness of the OTHERS...yeah still no real explanation for that (or the costumes and everything). Also...speaking of book references....not sure why I never brought up THE TEMPEST being a Shakespeare play about a guy on an island who could communicate with spirits which could control the weather. PERHAPS this station is responsible for such TIMED Weather (Locke's predictable rain storms) related events on the island in addition to controlling GAS and "powering" the island. The man in the tempest also uses his power for revenge against those who have usurped his power. Sounds a lot like a certain bug-eyed prisoner/former HEAD OTHER we love to hate! And another point about the tempest is the logo had a wave on it. On dec. 26 2004 was the giant tsunami in the Indian Ocean that killed thousands of people. 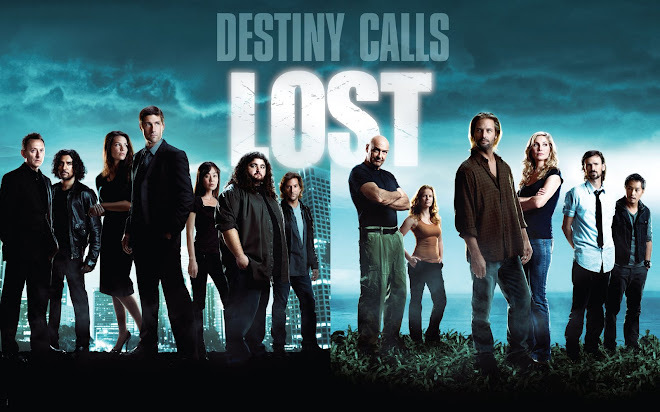 I had heard rumors that possibly lost might reflect these events on the show. And seeing as that’s about 1 day away in lost time we'll see. Could be just the logo acknowledges the event. Yeah, some people had mentioned that to me as well (referring to potential spoiler post). It would definitely have to be in the next episode or 2 if they're going to reflect it. And it might somehow shed some light on WHY things from the Indian Ocean keep showing up in the middle of the Pacific! lol Or the producers feel they NEED to reflect these events based on the ties between the Indian and Pacific Ocean in LOST LAND....who knows? I guess we'll see! - 2 hour finale will air in 2 parts due to Grey's Anatomy getting a 2 hour timeslot Thursday May 22. So part one will air May 15 and part 2 May 22. (the first 3 of the post strike episodes are close to being completely written. And they are storyboarding the FINALE!! - The TEMPEST is a very important station that will be revisited. It WAS on Radzinsky and Kelvin's Hatch Map. (i'll have to look at that again!) I think what we were alluding to in earlier comments may come back into play! - We WILL see the Smoke Monster again this season. They said that they don't want to overuse it and every time that they've showed it they have revealed another FACET of the Smoke Monster. So we can expect to learn more when it does appear! - If you couldn't tell from the title "Ji Yeon" Thursday's episode will be a Jin/Sun-centric episode. Of course...if it's entirely a Flash Forward...that may give us our Oceanic 6 answer already. But I am still going to say a twist is probably coming our way with BOTH not necessarily getting off the island. We'll see! - While Ben was not lying about Charles Widmore sending the freighter (I think I got that from what they were saying)...he probably is lying about not knowing WHY Charles wants to get to this island. That should be revealed to us by the end of the season. I had not had a chance to read your blog, but I always enjoy them. This episode was great, it is just hard to follow up any Desmond and Penny episode, there is always some crazy twist. I think that Perhaps you are right about Dan and Charlotte trying to get Jack and them to trust them. I also think that it was there intention to turn it off, so that when Widmore came in to exploite the island, Ben could not "Purge" again, this is the islands only defense, at this point it seems, exept the smoke monster which did it go away after Echo died? Anyway, I don't think that Ben had turned it on I have to agree. Coffin idea, I know people have been speculating that it could be Micheal in the coffin, I believe it to be true. The reason is that they know that he killed Ana Lucia and Libby, in cold blood then if that was not bad enough he set them all up to be trapped by the "others" he only cared about himself and his son. Thanks Anonymous! Glad you're enjoying the blog. Agree with your points about Dan/Charlotte making the island "SAFE" for Widmore. I think someone else may have commented on that too and it definitely makes sense. Smokey has shown itself since Eko died. Remember the episode with Juliet and Kate rolling around in Mud in the jungle? Smokey was there and we saw the bright white FLASHING strobe light on Juliet. We also got confirmation that The monster shall return this season as well. Yep...the pieces all seem to fit for Michael to be in the coffin. But then again...do we think 2 mysteries will have the SAME answer? i.e. "Who is Ben's Man on the boat?" and "Who is in the coffin?" I think the fans would be disappointed if both answers (or EITHER answer) was Michael! lol We should be getting ONE of those answers shortly! Mike, if Michael is the answer to one or both questions, it might be a little bit of a let down, but I wouldn't put it past the writers to give us a few twists and turns along the way. Most real fans have properly guessed the Oceanic 6, but that hasn't stopped our curiosity about how they got off the island, why they want to go back, etc. 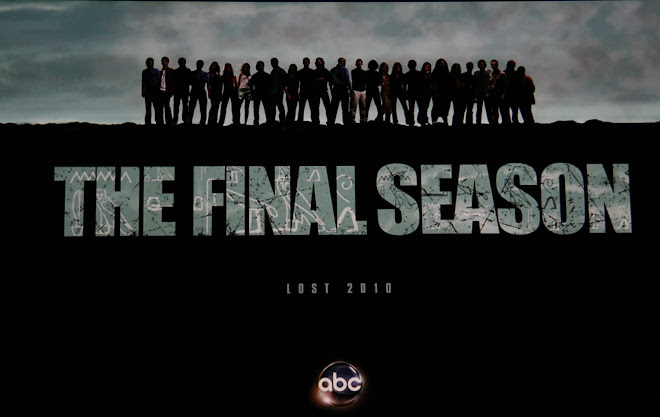 Since Lost is so much about time travel, I think it is important for us as fans to remember that there are lots of threads (flash backs and flash forwards, not to mention events on the island) in the rope (time-line)that connect the beginning of the story to the end. indeed addict indeed. Even if it does turn out to be Michael...there are still lots of questions to be asked. And the doc jensen article that MJ references delves into that. It's a good time! Getting excited for the big show tonight!!! Hooray, I finally got another Juliet flashback! Ben showed us a whole new dimension of his creepiness with his possessive obsession with Juliet, who I am also a little obsessed with. So I'm jealous of Ben! This whole episode turned out be pretty good, but of course nothing could really match the power of the previous ep. I do love watching Sayid and Desmond together. They have a real chemistry together. I also love Juliet's pursed smile whenever she's reacting to something she disagrees with. For that matter, reacting to almost anything. I really love how the show maintains the make-up for injuries the characters sustain. Even though the island tends to heal people quickly, it's nice that there's continuity on injuries that were suffered in the previous episode, which is often just the previous day. Ben just gets better and better. Not only is he one of the funniest characters, he's becoming one of my favorite characters, despite being evil and crazy and scary. I find myself rooting for him in almost every confrontation because I want to see him survive all the way to the series finale! As for what Widmore is behind, it increasingly seems apparent that it would be easier to ask what he's not behind. He's behind everything! Ben gets rabbit for dinner: "Did it happen to have a number on it?" Ben heads into the house with folded clothes: "See you guys at dinner!" Two more classic lines to add to Ben's repertoire. Can't tell who I should be shipping nowadays. This is more confusing than an old ep of Love, American Style. I just hope they make sure Sawyer has somebody to bed down in the future. All this rejection has gotta be hurting his ego and his libido! Good point on the "injury make-up". I noticed it mostly in season 1, but Locke still even has his scar around his eye from his big cut in the crash which is cool. Yeah, this ep definitely wasn't received well after the awesomeness of "THE CONSTANT". But, it was still decent. And yes..Ben is awesome!! Never would've expected him to make such a long run after the show when he was first introduced as a recurring guest star in season 2. He and Henry Ian Cusick (Desmond) really made their episodes count and got invited to stick around! Widmore - yeah, he's highly involved in stuff. Episodes 1-8 were pre-writer's strike. Everything else was POST-writer's strike. Just wait until they get to episode 9. Things really kick into full throttle! Don't you worry about Sawyer. He's quite the ladies' man. He might land himself a girl. Whether that's Kate or someone else...I am not telling! I found this episode quite enjoyable - nothing like the previous one, of course, but better that most so far this season. Juliet is such an awesome character. And Ben has gained several levels in creepiness (not that he needed any more!) His "You're mine" line was just so sick. Not surprised about the Charles Widmore revelation, as there's been much speculation that he must be behind some things going on there. What I found interesting was Ben's explanation of his motives. It just never occurred to me someone could simply be wanting to exploit the island's properties for personal gain. Money, power, etc. I seem to recall some character early in the show making a comment how this could be a great holiday destination? Or am I just dreaming things up? Anyway, I can imagine what would happen if it became public knowledge that someone in the Pacific there's a place where miracles happen. What a possible gold mine! When Ben said to Locke "You're going to want to sit down for this", I immediately thought it was Locke on the freighter! I know it's been confirmed we're not dealing with alternate timelines, but that's what happens when time travel is introduced into the equation - you start seeing it everywhere and thinking crazy things! Hi Leta! How fun, someone who's watching Lost at the exact same time as me, and at the same spot in the show! This episode was great. Filling out more of Juliet's backstory is totally necessary to her character's motivations. And, wow, creepy Ben is CREEPY. Just when you think that guy can't get weirder he pulls out that 'You're Mine!' line. Ick. Will be interesting to see how that plays out with Jack. I assume Juliet doesn't get off of the island. If that's the case, and both Ben and Jack are off the island, what happened? I will say that people on Lost sure do get knocked out super easily. One blow to her head and Kate's out? They love hitting people in the head with guns on this show. Okay, I'll try to keep up with you 2 but I may fall behind on responses! :-) But please keep posting! @Leta - The Island where there's a rogue smoke monster just randomly killing people, scary whispers, super magnetic properties a holiday destination!? Maybe for the people that created Jurassic Park! LOL I don't recall discussing that, but maybe it was. As for exploiting the island for its properties and money....absolutely could be in play! Interesting theories on alternate timelines! I'm going to stay quiet and continue on my stance that if anything time travel related happens in the future, I probably have stated my opinions (and possible facts, given the show's coverage) on what is/isn't possible! :-) But, that's only IF there are more time-related elements coming. Granted, you would hope they wouldn't tease time travel unless they were planning to cover it again! A lot of people thought this episode was a letdown after The Constant. How could anything NOT be after that one? I enjoyed it too and always loved Juliet's character. Good stuff! @Krista - Agreed on adding depth to both Juliet and Ben's characters as Leta mentioned too! All good questions on why some people got off and why people stayed! Yes, pointing guns at people and knocking people on the heads with guns...all the time. It's hysterical. I think there's a YouTube video out there of how many times Sawyer got beaten up too. lol There definitely is one where he says all of the nicknames...or that might just be a website that tracked them.